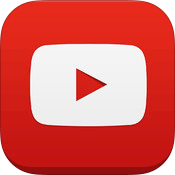 If you upgraded to iOS 7 on your iPhone, iPad or iPod Touch and you are trying to use the YouTube voice search feature on the YouTube App, you are currently out of luck. Every time you try to perform a voice search via the app, the app crashes. A YouTube Help thread has several complaints with confirmation from a YouTube/Google representative. Thanks for your reports. The YouTube team is aware of a crash related to using voice search in the app after upgrading to iOS 7. Thanks in advance for your patience while the team works to address this! There is no ETA for a fix, but I suspect we should see one in the next few days.